The vision of Tropimex is to develop an undeniable legacy for exquisite quality and taste. 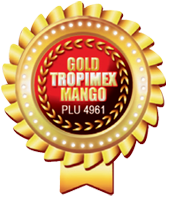 The company is anticipating in the near future to assume full responsibility in supplying, from their own farms, Tropimex’s complete product list. This will enable the company to acquire full control of the decisions involving the production and quality-control aspects of their business. Fully operational organic farms are also on upcoming agendas. Tropimex receives great satisfaction in knowing that their team is playing a crucial part in providing the most healthful products to their own families, as well as to consumers worldwide.